I am a refugee from the “Big Bank” world, where I spent the first twenty years of my career in various positions at global financial firms. The culture here is incredibly different and truly special. We are all driven. However, we value the success of our team over that of any one of us individually. Dolphin. They are quick learners and flexible problem solvers. They also communicate in a sophisticated manner and they are one of the few animals that actually take turns talking. Since they sleep resting only one side of their brain at a time, they are also the ultimate potential multitaskers! What quality of yours makes you best suited for what you do—what’s your superpower? I have the ability to see patterns where others see complexity. This helps me instinctively project the best path to take to get a goal. By naturally seeing a way when others are convinced there is none, I can help lead them to success. You’re a new addition to the crayon box, what color would you be? Chameleon. I easily adapt to new environments. I am generally pretty self-expressive and equally comfortable blending in or standing out depending on the situation. Chameleons' eyes are capable of looking in two directions at the same time… a helpful skill when balancing work and a couple of highly energetic kids. Jill joined O’Brien in 2012. She was appointed President of the firm in 2015 and CEO in 2016. 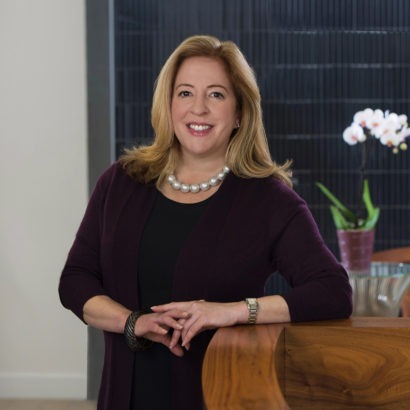 In addition to her management responsibilities, Jill also serves as an Advisor for a select number of clients and as Chief Investment Officer of the firm. Prior to joining O’Brien, Jill held a variety of senior wealth management and investment positions at U.S. Trust and Citi across the disciplines of wealth management, alternative investments, and fixed income trading. Jill has an MBA from the Yale School of Management and a BA in French from the University of Massachusetts. She has a particular interest in the arts and has served on boards at The Boston Conservatory, the A.R.T., and Opera Boston. Also, as a member of the Women Presidents Organization Jill is committed to fostering the growth of women owned businesses in the Boston area. Jill lives in Brookline with her two sons and a 13 pound long-haired dachshund named Tank. "Don't spend time beating on a wall hoping to transform it into a door."